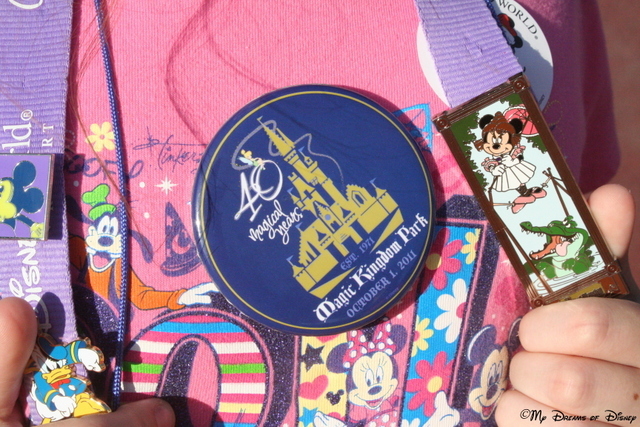 When I think of Disney History, I think back to the 40th Anniversary celebration! Hello everyone, and welcome to this week’s Wordless Wednesday Post! Special thanks, as always, goes out to my friend Deb from Focused on the Magic for hosting this series each week. Today we are using the theme “Disney History”, and for me, since I don’t have many photos from the “early” Disney days, I think of our time spent at the Magic Kingdom to celebrate the 40th Anniversary of Walt Disney World. What an incredible day that was, full of fun, beautiful weather, incredible Disney Magic, and so much more. I have a couple of shots from that day that I want to share with you. The first one is the banner at the gates to the park, what better way to kick off the celebration? I’m sharing this little button to showcase the Established 1971 part of the button, plus I like it. I hope you do too! Jungle Cruise — one of the original Magic Kingdom Attractions! Lastly, I’m sharing with you a picture from the Jungle Cruise — one of the original Magic Kingdom attractions from October 1, 1971. 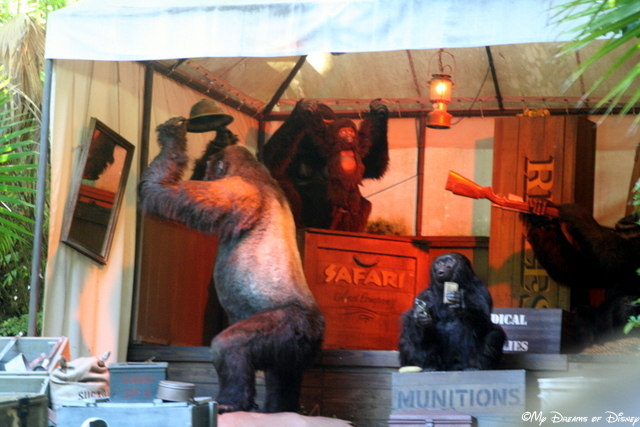 This shot of the gorilla’s serves to prove just who is really running this site! Thank you all for stopping by, now please go check out the rest of the entries! Just click on the button below! Don’t forget to go out and make every day a Disney Day!